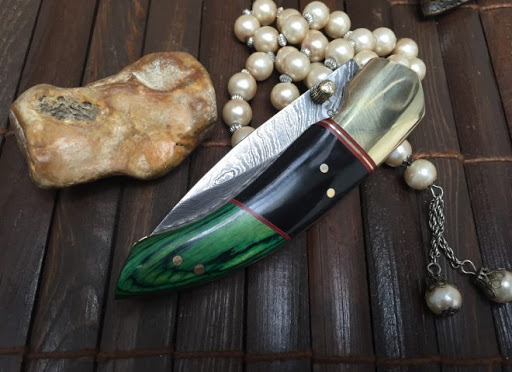 Perkin >> Blog >> Knives >> Save yourself from spending Thanksgiving in the Hospital! Thanksgiving is finally here, and we can’t be excited enough! Long back, it began as a day of being grateful and giving thanks for the great harvest, and other blessings of the preceding year. Today it has evolved in a festival of joy, of people coming together, and enjoying the grand, sumptuous Thanksgiving meal. On this day, it’s illegal to count calories or hit the gym! The meal comprises of lip-smacking classic dishes such as roast Turkey, green bean casserole, sweet potatoes, cranberry sauce etc. Aren’t you drooling already? We know thanksgiving is a great time to show off your culinary skills, but you should also keep it in mind that a knife is not the easiest thing to handle. The main theme of this day, apart from giving thanks of course, is the food. It’s all about breaking bread with your near and dear ones. But before you reach for a knife for this Thanksgiving, Perkin Knives is the shop that you need to look up, for the best knives ever! It has got every kind for both personal uses, as well as if you want to utilise a knife for a gift to your loved ones. A proper cutting board: You should make sure that when you are using knives for the Thanksgiving chores, you should cut on large enough surfaces. The chopping board should be able to contain the object to be cut. Use a sharp knife: You might be surprised but yes, this is one of the most important tips. As a dull knife leads to more sawing movements and greater instability. Cut away from yourself: Maybe, you have grown up seeing your mother or grandmother cutting her vegetables with the blade facing her. You are free to follow her steps, but not necessarily in this matter. It’s best to cut away from your body, in order to avoid a trip to a hand surgeon. Stay focused: We all know preparing an important a meal as Thanksgiving can be quite stressful, and take a toll on your mind. You would also want to sit down, and chat with the others who are already in the house. But you should stay focused and take your time, especially through the cutting sessions. Keep a watch: Watch with a hawk’s eye where your knife is going and keep your fingers far away. Far out of the knife’s way! Don’t pass around: Also, a knife is the last thing you should be passing around in the kitchen. Thanksgiving makes the kitchen a busy place and you should always place the knife down. And the next person can pick it up. So, these were the most important tips, following which, you can carefully avoid a trip to the emergency on Thanksgiving. And on any other event for that matter! Keep your fingers, hands, arms and practically the whole body away from the knives while you prep your food. We mean it. So, what are you waiting for ? Shop in at Perkin Knives today and avail 10% thanksgiving discount now.